Sony released the first 4k footage shot from the International Space Station (ISS) with the a7s II full -frame mirrorless camera. Amazing footage has been shot in 4k (QFHD 3840X2160) from outer space. The International Space Station orbits approx. 400 kilometers (249 miles) above the Earth at a speed of roughly 8 km/sec. (5 miles/sec. ), and completes one orbit of the earth in approx. 90 minutes (16 orbits/day) recording a variety of 4K videos and still images from outer space. “By capturing exceptional, immersive images from outer space of something such as a large-scale disaster on the ground, you can grasp aspects of the situation that are unseen from the ground, such as damage and the scope of impact. We can also explore environmental changes by taking continuous pictures of a specific place, like a fixed-point observation. This could be looking at color change in the sea by taking pictures of a submarine volcano or watching the movement of drift ice. 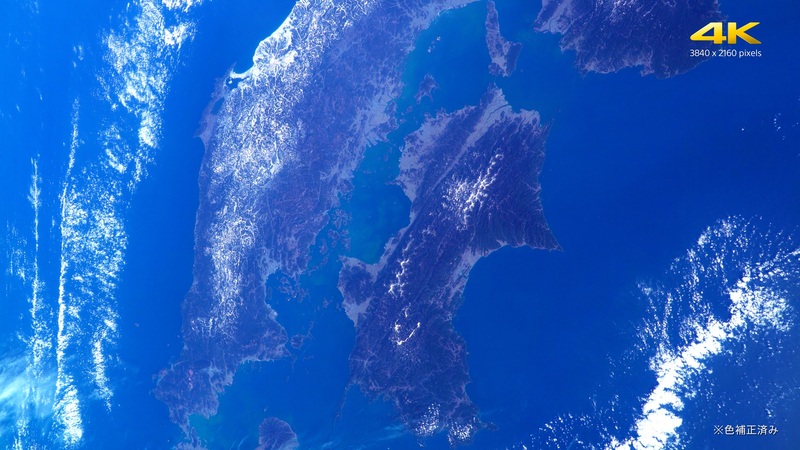 By recognizing these kinds of changes of the Earth, we can contribute to an understanding of global environmental issues, and we also believe that transmitting images invisible from the ground will lead to an increased interest in space development” said Jaxa engineer Toshitami Ikeda. The ?7S II has been selected as the camera for the new exterior platform on the ISS’s Japanese Experiment Module known as “KIBO”. As a result of various tests conducted by JAXA, it was confirmed that the ?7S II possesses the durability and reliability to withstand the unique and unforgiving environment of outer space, including high vacuum, cosmic radiation, and abrupt temperature fluctuations. The H-II Transfer Vehicle, KOUNOTORI, a Japanese cargo transfer spacecraft serving the International Space Station, was launched from Japan’s largest rocket-launch complex, the Tanegashima Space Center, on December 9, 2016, carrying one of Sony’s revolutionary ?7S II cameras on board. This gives us on the ground the opportunity to see images captured from space in 4K or full HD video resolution, as well as 12 megapixels still pictures. A 51,200 ISO was essential to get good footage of earth at night. The a7s has enormous light-gathering pixels in its full-frame 12.2-megapixel sensor.